It was inevitable, to have a smartphone that allowed you to take photos and video underwater. But knowing it will happen one day and knowing that it will be released in a couple dozen days is different. With that said, Sony recently announced the forthcoming release of its newest phone, the Xperia ZR. 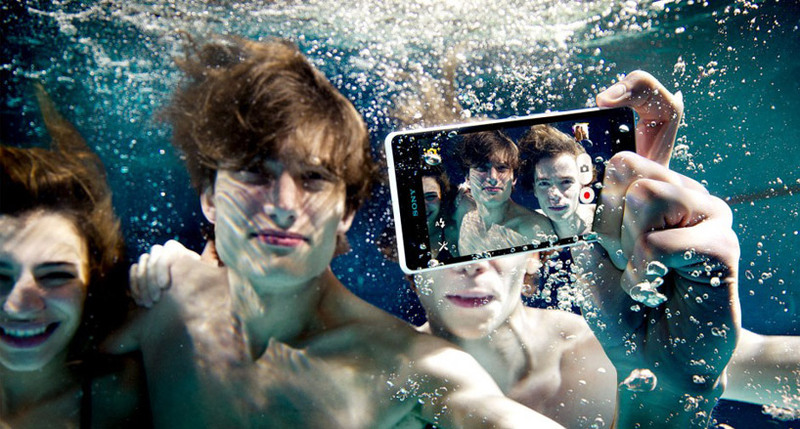 This phone’s most outstanding feature is that it can operate underwater. In my experience, smartphones and water simply don’t mix. My first ever smartphone died within several months because it fell in the toilet (d’oh), but that moment conditioned me to keep my electronics away from the liquid. Now you’re telling me I can go jump into a swimming pool with my phone? Yup, Sony is proclaiming that this new phone of theirs can be submerged under 5ft of water and operate for about 30 minutes. Not only can it take pictures and video underwater, but it can take high resolution ones with Sony’s Exmor RS technology. Speaking of technology, let’s see what this baby has under its hood. This smartphone will be 4G, allowing it to download, upload, and stream all sorts of hyper-rich media. The screen is 4.6 inches which continues the trend of ever-increasing screen sizes. With this nice screen comes a nice resolution: 1280 by 720 pixels to be exact. This allows for high definition photos and video. The front-facing camera consists is 13 megapixels and has zoom capabilities of up 16 times. The Snapdragon processor operates at 1.5Ghz and utilizes the Jelly Bean version of Android OS. With these nice specs this phone was bound to have nice features. As stated before this phone can take HD photos and video, but with its Exmor RS circuits under the hood, maybe we should add an “R” at the end of HD. High Dynamic Range photos are pictures that bring out a higher range of colors in the shot to get a more life-like appearance. Darker colors are darker and lighter colors are lighter. The Xperia ZR grants the operator HDR quality with a simple, dedicated camera key so that you never have to unlock the phone. Perfect for underwater. This phone is dustproof, shatterproof, and has scratch-resistant glass. Added to these external protective features are internal ones for the battery. Battery stamina mode helps preserve battery life when the phone is screen is off by shutting down those draining apps. With its nice specs and features, particularly being able to go underwater, it’s no wonder there is high anticipation for this phone. Due in Q2 of 2013, price in India is still not available.